VIRTUAL REALITY: Spicing Up The Sales Pitch. A pointless gimmick, or a working application for tourism and hospitality? Your futurologist, Valentina Doorly, votes for the latter. Virtual Reality is one of the new technological wonders that promises to become a widely used tool in tourism and hospitality. However, as per the 3D print hype, for all the curiosity and excited smiles that it provokes, few still have got any idea on how to bring this tool into the fold of the industry for actual business use. 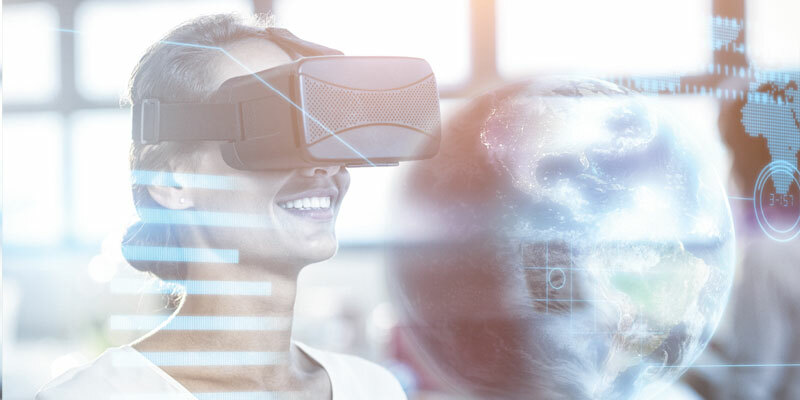 According to Forbes, 1% of the globe’s population will own a VR headset by 2020 – a figure that shows, effectively, that we are watching a technology in its infancy, still looking for its place in the world. Precisely because of this, experimenting with it can be a sublime and exciting exercise, rewarding us with a competitive advantage and know-how we will never regret. By Virtual Reality, we indicate a technology that, excluding the external world from the user’s perception, creates an alternative, virtual environment into which the user gets immersed, triggering the brain to experience real-life sensations. If we could take a bird’s-eye view around the globe, we would observe what we call the ‘seeds of the future’: an innovative and disruptive introduction of technologies as they are being adopted by hotels, museums and tourism players, who are starting to use VR to promote their businesses or destinations, or to boost the customer’s experience on site. VR is a powerful new version of the very thing our industry feeds off: storytelling. There are two main dimensions where we need to unfold a narration: when we are ‘selling’ a product or a service (hotel rooms, destinations, attractions); and when, once on site, the customer is ‘experiencing’ its contents, be that historic, artistic, or simply fun. VR comes into its own in both dimensions, facilitating the familiarisation with a product, as well as its fruition. Anything that helps us convey a message, be it of an informative nature or for entertainment, should be looked into carefully. VR has the advantage of merging, in one medium, three types of stimuli –visual, acoustic and written – rendered in a 3D footage content that will enable the user to interact and be absorbed in an immersive landscape that makes the content fruition as powerful and real as it can get. Amongst the early adopters are: the British Museum, offering a VR experience on its Egyptian collection; the Burj Khalifa skyscraper in Dubai, the tallest building in the world, offering an extravagant VR experience replicating the ascent and descent of the tower; the Stadt museum in Berlin, offering a free virtual journey throughout the four most important city museums and shuffling from one to another with stunning drone views. The newly opened Casanova Museum, in Venice, recreates a VR experience of the life and setting of Casanova in his time. A room with 18 VR stations has been set up, with a multi-language choice, delivering several minutes’ engagement on the streets of eighteenth-century Venice. As the visitor literally steps into the shoes of Casanova, he or she perceives the character’s arms and legs as if they belonged to his or her own body. Both in B2B and B2C sales, we strive to be efficient as much as effective. Our marketing and sales techniques use the right message mix, content and communications channels in order to reach and convert as many customers as possible. For B2B customers and large-scale sales, the human interaction is still valuable and relevant. How do we assess a good sales pitch? It has to be informative and present the product in its entirety, with a smooth and comprehensive overview of its main selling points. It has to be engaging, exciting the prospective customer with some appealing traits or features. Most importantly, the sales pitch has to overcome its worst enemy: the vast amount of advertising cluttering virtually every nook and cranny of media communications. Because of the overwhelming volume of marketing messages, our sales pitch has already won 50% of the battle if it manages to grab the potential buyer’s attention, outdoing its competition. VR ticks all these boxes. When the production is carried out by a high-quality supplier and savvily arranged by the company, it guarantees the buyer’s 100% undisrupted attention for a few minutes, enabling the pitcher to get across all the selling points, exciting the customer with a new, quite thrilling experience and, undoubtedly, leaving a progressive and impressive memory of the company and the brand. Presenting a company or a product that offers a VR headset to put on automatically commands more engaged attention than a paper catalogue. It’s the novelty effect, the game-and-entertainment effect. It’s the ‘guess what I have tried today’ effect. Innovation is often synonymous with marketing, as equipping your company with groundbreaking media, cherry-picked from the buoyant offer, corresponds with cutting through the white noise and the cacophony of millions of other commercial communications. In times of great acceleration, we are naturally curious about the future. We want to see it, touch it, try it, and it shouldn’t surprise us if ... it works in making heads turn. I recently visited one of the first hotels in Europe to equip the reception with a very cute and engaging multilingual robot, Pepper, and I found the hotel GM literally astounded by the marketing and media resonance that this simple move had secured the resort, scooping more press and social-media coverage than the resort had previously received in ten years of business. As he was staring at me, astonished, I was staring back at him, equally astonished at his astonishment. I have claimed before that innovation and progressive mindsets can happen anywhere, anytime – not necessarily in the conventional hotspots considered locomotives of the new world. While the Marriott hotel group is equipping its properties with VR experiences featuring other holiday destinations and Marriott properties around the world, even allowing their guests to order a selection of VR experiences to their rooms – VR-RoomService – Gleneagle Group, in Kerry, has embraced VR to support its sales function, with particular reference to the ‘weddings’ product. Sharon describes the production experience as demanding yet amazing across all its aspects. Unlike conventional filming, VR shooting can see at 360 degrees, hence, the environment must be patrolled from each and every angle –high, low, left, right, centre and back. The VR camera wants to be engaged with because it represents what will then become the customer’s point of view. “The more movement and action you can stage during the filming, the better,” Sharon recommends. To make the sales pitch more effective, unique selling points and main sales messages were also included as brief text lines across the VR. Besides working as a B2C sales support, VR will now be used by Gleneagle Group as B2B throughout all important wedding fairs around the country, debuting in Dublin in September and capturing buyers’ attention, no doubt. Jim Dator, futurologist and A.P.F.member, states that “any useful prediction about the future should appear ridiculous to our eyes”. Future developments will not look like what we know today, just progressed by incremental change. In fact, many developments will actually transform the very structure of things, business models, and, eventually, society. The use of communications by video, images and 3D content may become so predominant, thanks to their immediateness, that written language will be eroded in weight and use until its near marginalisation. Highly sophisticated VR products portraying holiday destinations will surrogate holidays and travels for those who cannot afford to travel the world, or offer help and mitigation to the scourge of over-tourism, replacing the actual visit to fragile heritage sites and landmarks under threat by over-influx of masses, with immersive virtual experiences. 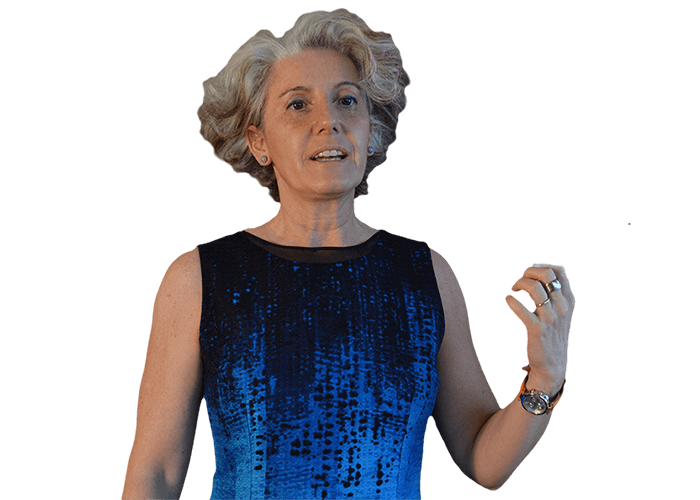 Real-life robot-avatars, such as Model H, currently experimented in Japan, will enable a user, based in any other location on the globe, to see and experience whatever the avatar sees and experiences in real life. According to their manufacturer, Telexistence, Inc., this is being engineered for mass production. Selling, anticipating, boosting the experience, eventually even replacing the experience itself – VR has a long journey in front of it. The starting line is with us. The finishing line … does not exist.